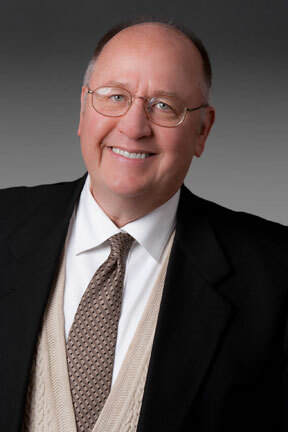 Joseph E. Maloney graduated from McGeorge School of Law in Sacramento in 1980. He is a member of both the Traynor Society and Order of the Coif, awarded only to the highest achieving graduates. He was a member of the Board of Editors of the Pacific Law Journal. From 1980 to 1984, Mr. Maloney was first a staff attorney then trial-team leader at the Pacific Legal Foundation in Sacramento, where he represented PLF and other clients in public interest litigation, including the wave of litigation regarding Proposition 13 in California. Mr. Maloney successfully represented Marcus M. Kaufman, Justice of the California Court of Appeal (and later a Justice of the California Supreme Court) in an original writ action in the California Supreme Court. Kaufman v. Court of Appeal, 31 Cal.3d 933 (1982). From 1984 to 2006, Mr. Maloney was an Assistant United States Attorney in the Civil Division of the United States Department for Justice, Eastern District of California. He represented the United States and its agencies in Federal District Court in Sacramento, Fresno, Seattle, Los Angeles and San Francisco, as well as the Ninth Circuit Court of Appeals. During his tenure as an Assistant United States Attorney, he held the positions of Deputy Chief of the Civil Division, Affirmative Civil Enforcement Coordinator, and Senior Litigation Counsel. He has twice received awards directly from the Attorney General of the United States. Mr. Maloney has tried scores of cases involving employment disputes of all kinds, personal injury claims from auto accidents to falls from ladders, and other cases. He was the first Department of Justice employee to try a federal employment case to a jury under the Civil Rights Act Amendments of 1991 (in which he obtained a defense verdict); he was the first Department of Justice Employee to try a case in which the United States asserted a claim under the False Claims Act Amendments of 1986 (in which he obtained a judgment in the amount of $1,300,000.00). Mr. Maloney has taught trial advocacy and affirmative civil litigation to other USDOJ attorneys at the DOJ Advocacy Institute in Washington D.C. In addition to his experience both deep and broad in employment and personal injury litigation, Mr. Maloney has expertise in administrative proceedings. He taught Administrative Law as a member of the adjunct faculty of the McGeorge School of Law from 1988 to 1997. In 2002, the United States Department of Justice asked Mr. Maloney to write the Chapter on Administrative Law which now appears in the USDOJ Civil Practice Manual, and he has authored other publications as well. Mr. Maloney is a member of the California State Bar, and is admitted to practice in all four federal district court districts in California, as well as the Ninth Circuit Court of Appeals. He is a member of the American Association for Justice (formerly the American Trial Lawyers Association), the Defense Research Institute, the Federal Bar Association, the Sacramento County Bar Association, the Placer County Bar Association, and the Los Angeles County Bar Association.